This remarkable graphic was published in the first issue of the deluxe art review Verve in 1937. Joan Miro was one of four painters who contributed with original lithographs to the magazine's theme "The Four Elements". 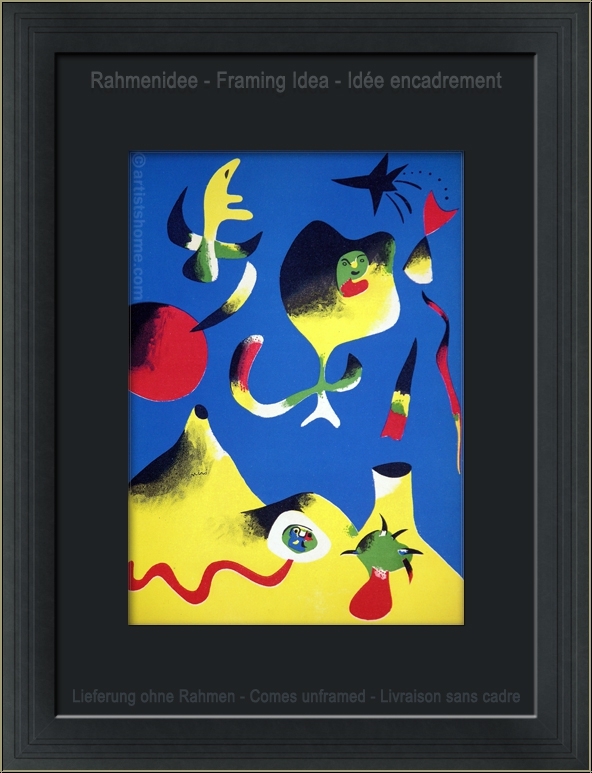 In the deep, brilliant blue of the sky, Miro gathered his iconic red sun as well as a black star and all sorts of creatures and symbols that seem to float above a volcanic landscape. 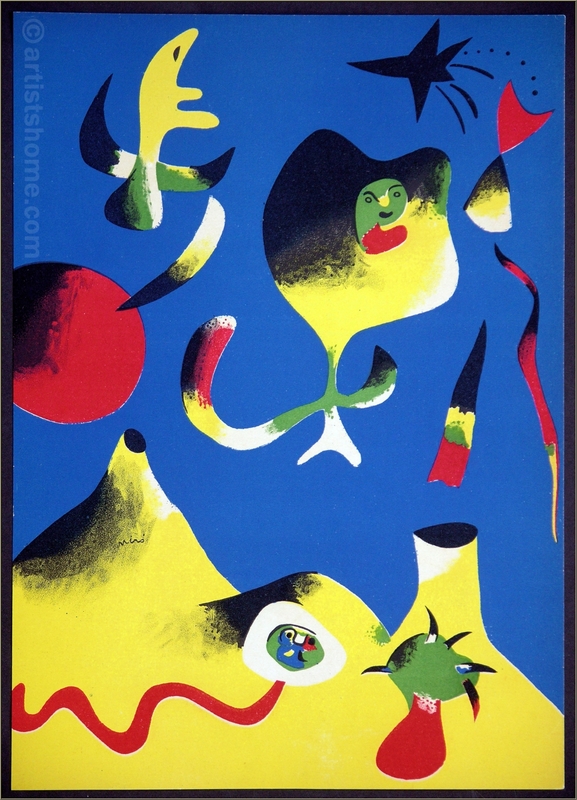 However, Miro did not completely succeed in giving the impression of weightlessness and lightness to his work. In particular, the two figures on the obviously burnt ground who appear to be quite menacingly, show the influence of the Spanish Civil War on Miro and his work. This is N O T a mass-produced photomechanical reprint but the genuine lithograph from the year 1937. Edition | Paper: One of approx. 2000 unsigned impressions from the book edition on smooth velin paper. There are no signed impressions. Your print is being delivered with an abstract from the a.m. documentations. In addition, you'll receive a proof of identity (without selling price) in case this print is intended as a present. In rare excellent condition! Frame not included in delivery.